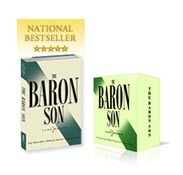 Best-selling Author There are four extremely high costs that every person must seek to avoid: the cost of being poor, the cost of not having a network, the cost of limited knowledge, and the cost of using inefficient tools and methods. Realize it pays to develop good financial habits. Those in need always pay more, whether it is a convenience charge, late fee, or the higher cost of buying in smaller quantities rather than buying in bulk. Those with limited networks are always the last know and the last to be helped. Finally, those with limited knowledge and inefficient tools waste not only their money, but their most valuable asset — time. To build wealth, you must make it a priority to consistently invest in these four areas. 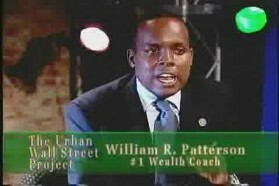 Wealth coach and best-selling author William R. Patterson appears on 1580 AM to discuss the best wealth-building strategies in the midst of bank failures, historic housing troubles, and bear financial markets. 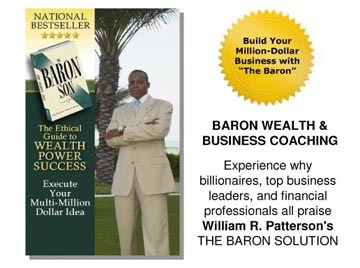 Learn ways to protect your finances, generate multiple streams of income, and dramatically accelerate your path to wealth. How can I tell if my plan is working? Need More Traffic for Your Web Site? 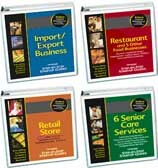 Take advantage of these free resources on BaronSeries.com. Submit your Web site now to over 30 search engines and directories. In this powerful audio learn inside tips for growing your online business the right way. From product and service line development to marketing and the administrative side of operating a web business, discover how to develop, plan, and implement a profitable business model.